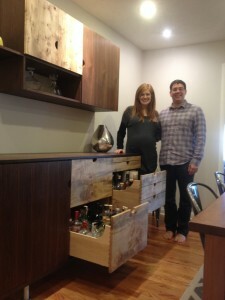 The Sneaky Bar - NR HILLER DESIGN, INC. 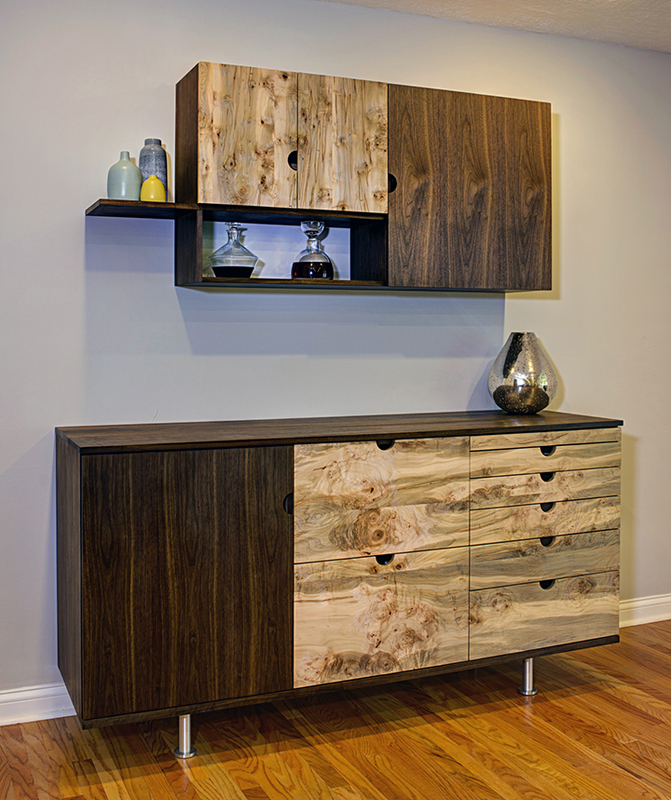 Inspired by mid-century European originals, this buffet is made from walnut (solids and veneers) with burly maple drawers. 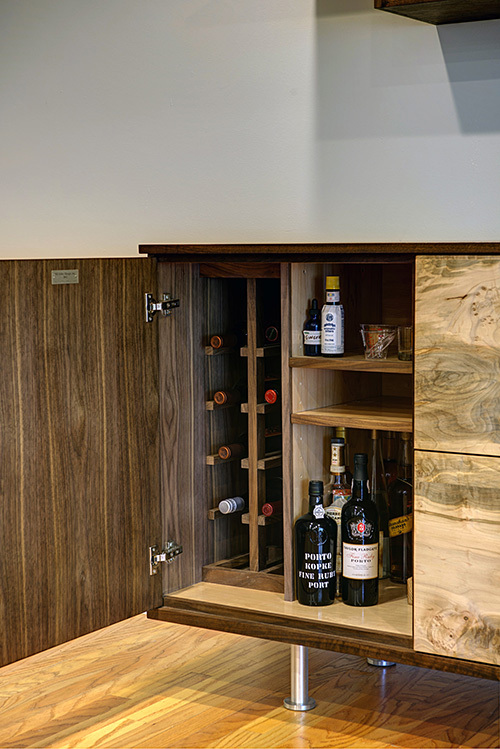 A pull-out walnut board provides a prep surface for drinks. 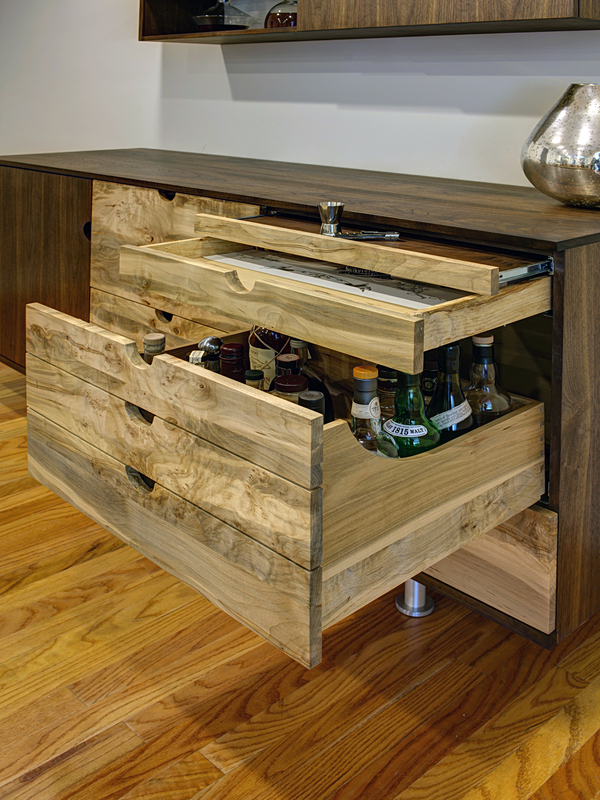 The wall cabinet holds glasses and other bar-related supplies. As a founding partner of Bloomington’s Cardinal Spirits distillery, client Jeff Wuslich knows his drinks. He and his wife, Erica Sagon, recently had their first child. Here they are before Ben’s birth (with apologies for the out-of-focus shot).